To say Michael Whitworth is a “prolific writer” would be quite an understatement. I know of no other author in our brotherhood who produces as many high quality publications as Whitworth does with his Start2Finish Books. His books are well researched, well written, and of the highest quality. I highly recommend every member of the church read his materials. One of his latest books, Living & Longing for the Lord is no exception. Living & Longing for the Lord is an extremely well-written guide to 1 & 2 Thessalonians. Like all of his other guides to books of the Bible, you will find that it is extremely well researched and has a great depth of information and insight. However, it is not a dry and boring commentary. In the same paragraph, Whitworth might break down the meaning of a Greek word and also make a joke about the Dallas Cowboys. In that way, Whitworth differentiates his work from nearly every other commentary I’ve ever read. I also love the way Whitworth explores various possibilities concerning obscure and difficult passages. When scholars are divided as to a passage’s meaning, Whitworth is willing to “engage [the] passage with a significant dose of humility and confessed ignorance” (pg. 142). He will then walk readers through various possible interpretations, pointing out the strengths and weaknesses of each. I appreciate this humility so much. “We talk often about wanting to restore the New Testament pattern, but some have a long way to go before they have restored the New Testament church’s example of being fervent in prayer” (pg. 115). “Is is still possible for the Word of God to be despised: Bibles are forgotten in the pew or the car instead of being read voraciously throughout the week. Passages are cherry-picked and valued as more important than other Scriptures in order to suit personal ambition. 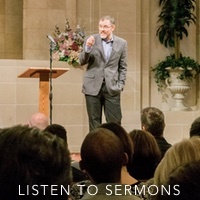 Christians complain when the sermon goes 10-15 minutes longer because it interrupts their Sunday schedule…The gift of prophecy may no longer exist, but that doesn’t mean prophecy can do longer be despised” (pg. 117-118). “Our assembly every week prepares us for the great assembly that will take place on the day of the Lord…To paraphrase the author of Hebrews, don’t forsake the assembly on the Lord’s Day, or you will miss the great assembly on the day of the Lord” (pg. 157). This is an excellent and thought-provoking read. It is scholarly, yet casual. It covers some serious material, yet there will be times you chuckle out-loud at Whitworth’s wit. You may not agree with every conclusion he makes, but he will help you think about some things you may have never considered. This book will definitely help you understand 1 and 2 Thessalonians and it help you live and long for the return of our Lord! 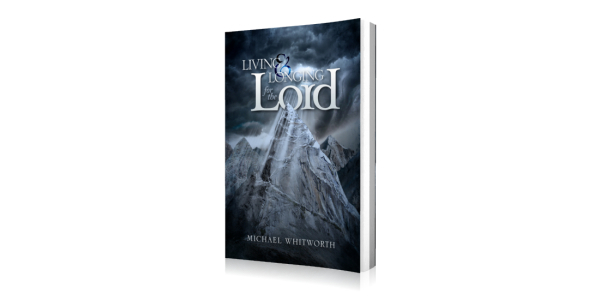 Click Here to Find Living & Longing for the Lord in paperback or on Kindle. NOTICE: I received a free copy of this book to review. I was not obligated to write a positive review. Also, the above links to the book are Amazon affiliate links; meaning, if you decide to purchase a copy of the book I will receive a small percentage of the sale at no additional cost to you.